Congratulations on your newest creation! Love your ideas and blog. Wishing you many priceless moments in the years to come! Congratulations to you and your lovely family! And great name - my 24 year old son is also a Ben! 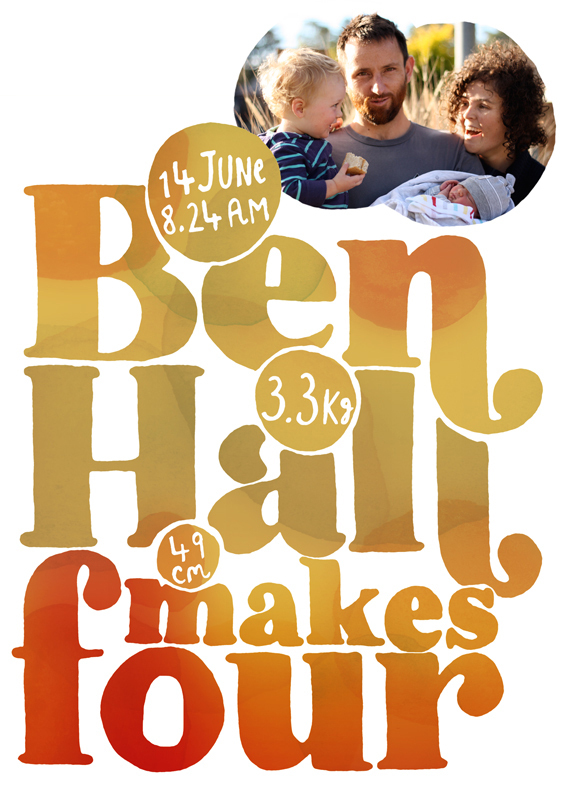 Welcome Baby Ben. Fabulous news Joe. Congratulations. We will forgive you if you aren't a prolific blogger for a while. Thanks for sharing such wonderful news. Congratulations!